Curling is a great recreational activity enjoyed by many Canadians. It became an official Olympic sport in the Winter Olympic Games of 1998. t is a great recreational activity for people of all ages. 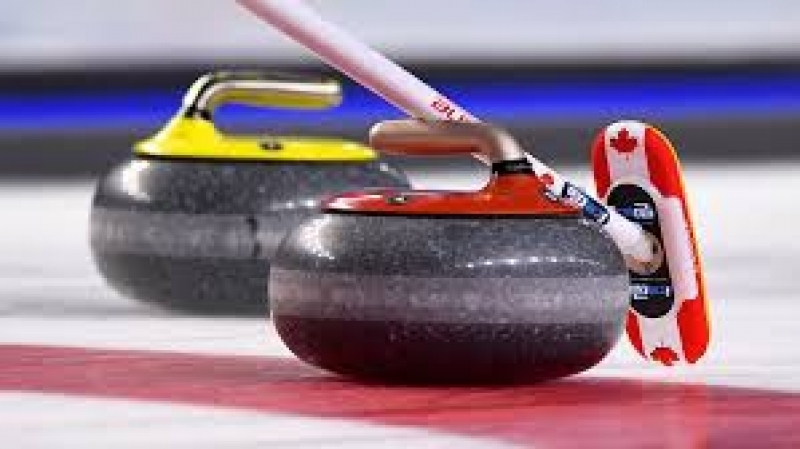 Did you know or realize curling stones weigh between 38 to 44 pounds, and require vigorous sweeping as you glide and balance down the length of the ice. Curling uses a variety of muscle groups one may not use on a regular basis. Like all sports, participants face the risk of getting injured, even if not a dangerous sport. Make sure to warm up and stretch before your curl as well as during your cool down. You may be out there to relax, socialize, but it can be strenuous on our joints and muscles. A variety of stretches such as hip flexor stretch, glute stretch, low back stretch and quad stretch are recommended. Learn the proper technique to avoid losing your balance, falling and hurting yourself. Prevention is the key! Improve your stability and protect yourself from back injuries by building up your core strength (abdominals and back extensors). Have good balance. The last thing you want to hit on the ice is your head. Avoid a concussion! Strengthen your shoulder muscles to protect them from injury, as well as to increase your power when sweeping. Train all your muscles on both sides of your body. Having muscle imbalance is common among curlers due to repetitive movement, so beware and be careful. If you injured yourself while playing and need help to get back on the ice, call us at 613-727-5755 to schedule an assessment with one of our Physiotherapists. See you on the ice!